There’s a reason why every news story you read at PCWorld includes a “Why this matters” or “The impact on you” paragraph: Context is important. Without proper context, news and numbers are just characters on a screen—and raw information without a wider look at what it actually means often results in misinterpretation and FUD. 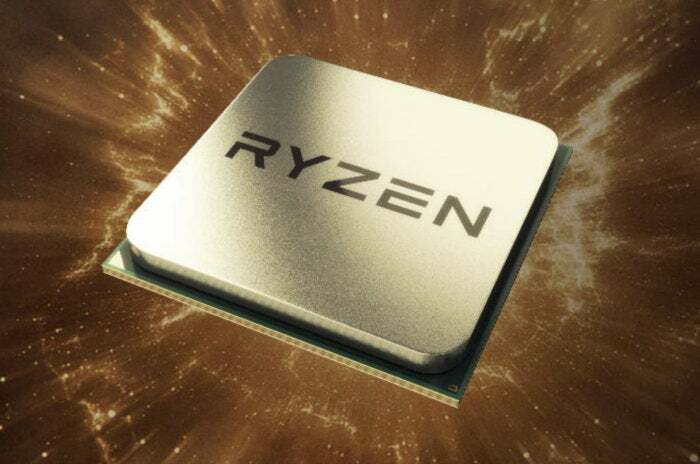 Case in point: A recent post by Parsec, a cloud game streaming company, titled “The Loyalty To AMD’s GPU Product Among AMD CPU Buyers Is Decreasing.” Parsec pulls an abundance of data from PCPartPicker builds to show that AMD CPU sales have declined precipitously over the past six months, and the number of AMD CPU buyers who also bought Radeon graphics cards dropped as well. Go ahead and read Parsec’s post if you want to see the raw numbers. But you don’t really need to, because while the raw numbers may suggest AMD loyalty is on the decline, crucial context that’s lacking whatsoever from Parsec’s article reveals that the supposed truth isn’t quite so crystal clear. Why this matters: You’ve been reading this, right? First things first, because it needs to be mentioned: While PCPartPicker is a stellar resource for enthusiasts—the first suggestion in my How to avoid common PC building mistakes tutorial is “Use PCPartPicker”—there’s no proof that the builds created by its users result in actual sales, as Ben Funk pointed out to me on Twitter. Likewise, there’s no evidence that PCPartPicker builds reflect actual PC sales trends. Anecdotally, I’ve found that many enthusiasts create PCPartPicker builds to plan out and share aspirational computers, the sort of fire-breathing beasts that spark fun conversations online but few people actually buy. So the data Parsec’s using is far from scientific. An AMD gaming PC without a Radeon graphics card, because I took the RX 480 out for this picture. That said, I’m totally OK with the methodology! Diving into PCPartPicker builds for hardware data is an intriguing idea…as long as you mention those caveats in your findings (which Parsec doesn’t) and use the data as a rough guideline bolstered by additional information and context, rather than trying to identify hard truths from it (again, which Parsec doesn’t do). 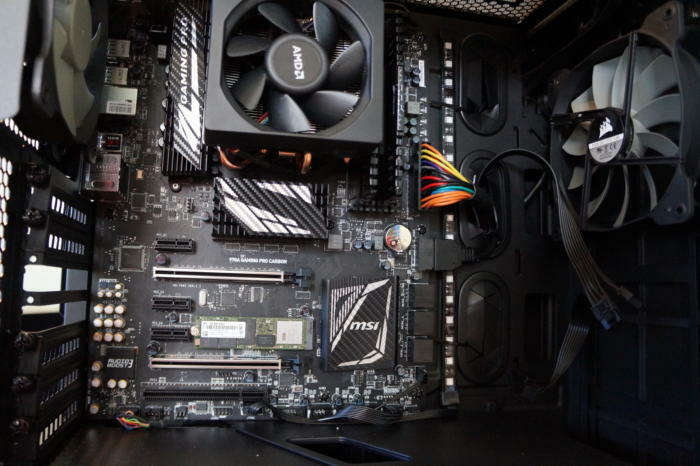 Zen (now Ryzen) and Vega are major next-gen overhauls for AMD’s processors and enthusiast-class graphics cards, respectively—the sort of releases that AMD loyalists would wait for, rather than pulling the trigger early and building a PC now. AMD’s current CPU lineup is years old and doesn’t really hang with Intel’s Core processors. Ryzen’s due in the first quarter of 2017. No wonder AMD CPU sales have plunged! While FX chips can still game, they’re not chips that the people that buy graphics cards are planning around right now. Meanwhile, AMD’s current Radeon RX 400-series lineup focuses squarely on mainstream sub-$250 price points. The company’s enthusiast-class Fury cards haven’t been competitive since Nvidia released the GeForce GTX 1080 and GTX 1070 six months ago—coincidentally, the time frame Parsec measures in its article. Vega’s not due until sometime in the first half of 2017; if you want to build a high-end gaming PC right now, the only viable options are GeForce cards. So you won’t find Radeon cards in those aspirational PCPartPicker builds I mentioned. 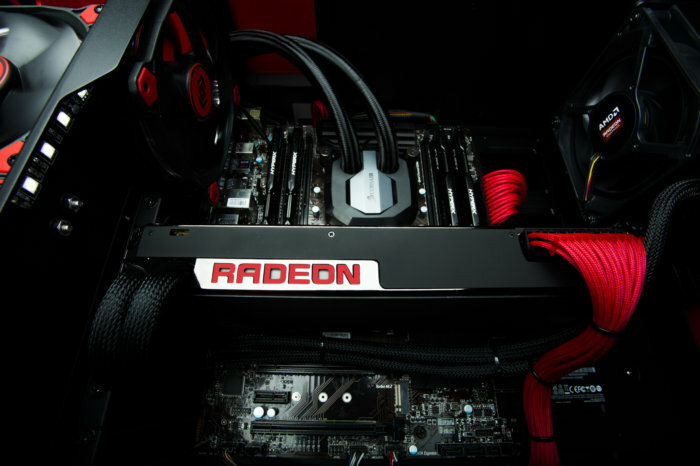 “The challenges that AMD is seeing in the overall GPU market are being felt even amongst their loyal supporters,” Parsec says, and Intel and Nvidia indeed hold commanding leads in their respective markets. 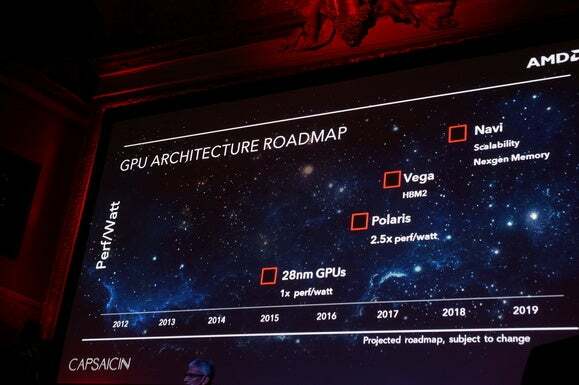 AMD definitely faces an uphill battle as it looks to reignite passion for its CPUs and GPUs… yet the numbers that Parsec uses don’t actually prove that. True AMD loyalists are likely waiting for the Zen/Vega combo to drop before they upgrade.